Dr. Brian McDonough shares insights on Zika's origins and spread from the NIH's Dr. Anthony Fauci. 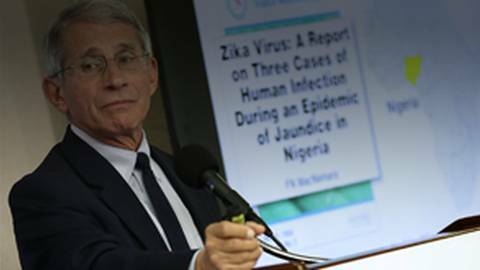 For those who believe that the Zika virus is only a recently discovered phenomenon, Dr. Anthony Fauci from the National Institutes of Health has an important revelation: Zika's recognition goes back more than 50 years. Dr. Brian McDonough highlights Dr. Fauci's considerations of the virus's origins and current spread.